The Bristol Botanic Gardens have been one of the great joys of moving to Bristol. 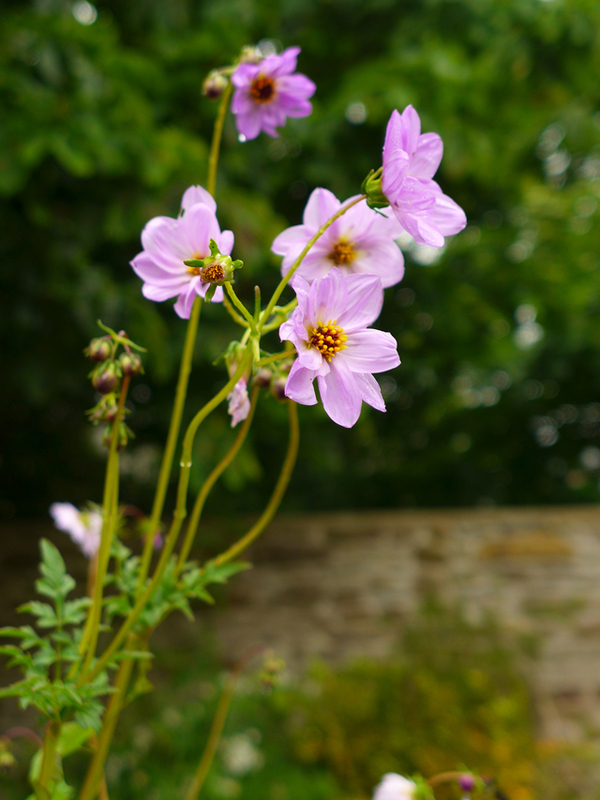 The gardens moved to their current location only ten years ago and it is clear to see how much work has been spent on the master plan and interpretation: it’s a great place to come and study plants, showing off botany in the widest sense. Here plant collections are laid out with clear objectives, whether it is to describe the various pollinators that plants have evolved to take advantage of for reproduction, from the usual suspects such as wasps and bees to possums, conserve the celebrated local flora of the Avon Gorge, or interpret plant history in a dell with plantings from eras that most of us associate with dinosaurs. 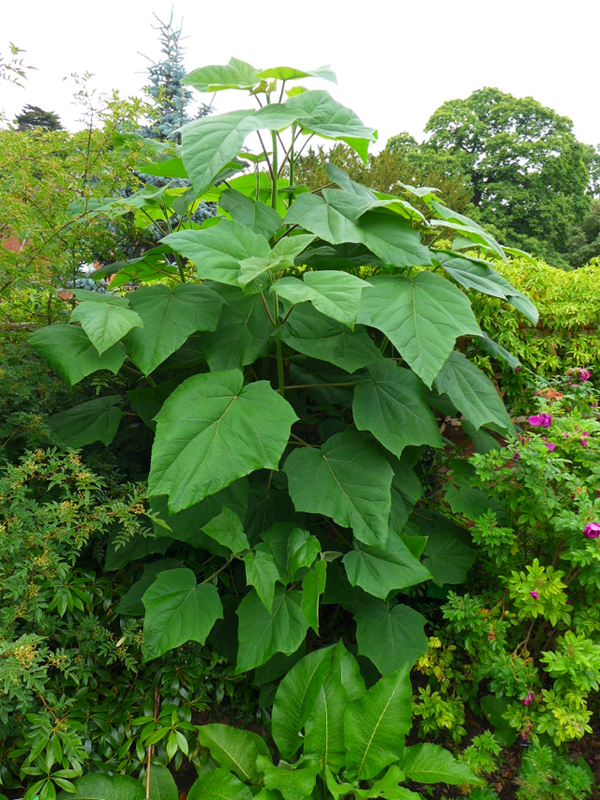 Three recent highlights include this 1.5m tall Cardiocrinum giganteum var. 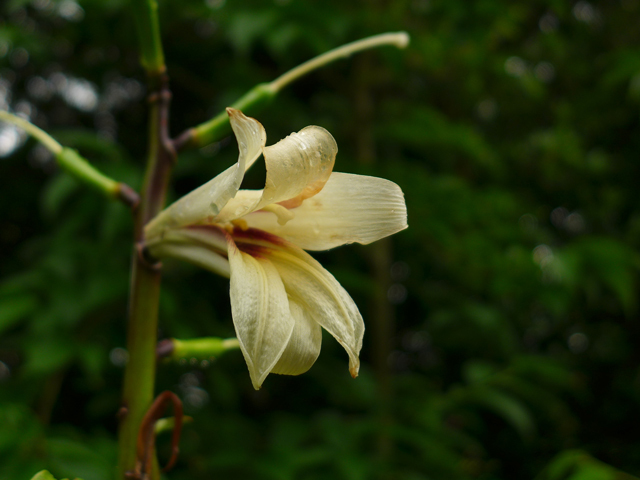 yunnanense that was just past its peak but still glorious in the rain, Dahlia merckii, with a beautiful structure that might lend itself to being used in highly diverse combinations, and this coppiced Paulownia tomentosa. Look at those enormous leaves! I’m particularly looking forward to Nick Wray’s talk on the ballast barge garden, a project that the Botanic Garden are running with the Arnolfini Gallery. It’s very similar to a project described by Andrew Gibson from Yorkshire Wildlife Trust, who a few years ago suggested a floating salt marsh barge on the Humber Estuary anchored off Hull- what a great way to link the city back to the ecology of the historic trading routes that made them.